I enjoy being able to create comics. Of course, I have talked about Bitstrips in the past and also about GoAnimate! for video cartoons. 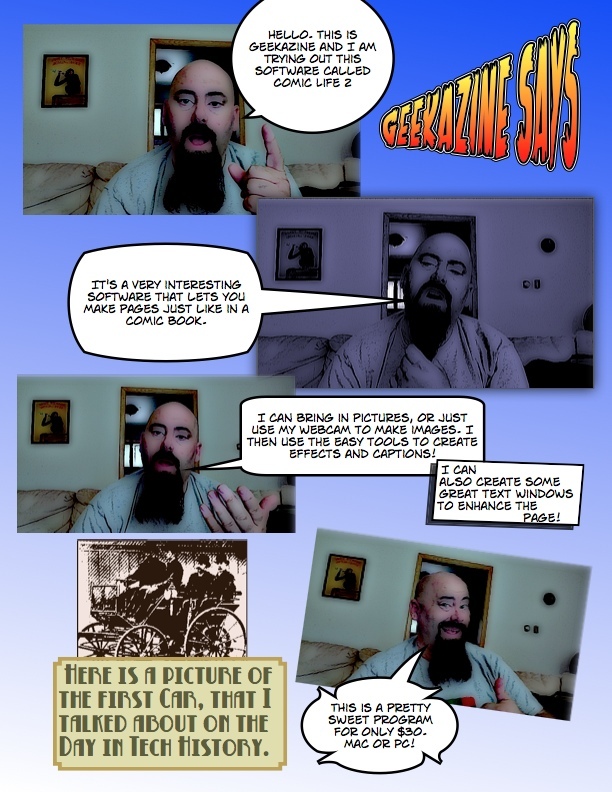 But I have found a program that will let me make comic pages using pictures. That is called Comic Life 2. I can take pictures as I go, or use existing photos. Put in a couple effects and I have a comic look to myself. Add a speech balloon, adjust for size and where my mouth is and write what I want to say. Create multiple pages, like if you were making a comic book. Post to Facebook or another favorite Social Network. The parent company – Plasq – has versions of Comic Life for Windows, Mac and iPad. There is also an iPhone application that lets you caption pictures. You can get those programs right from the App Store.